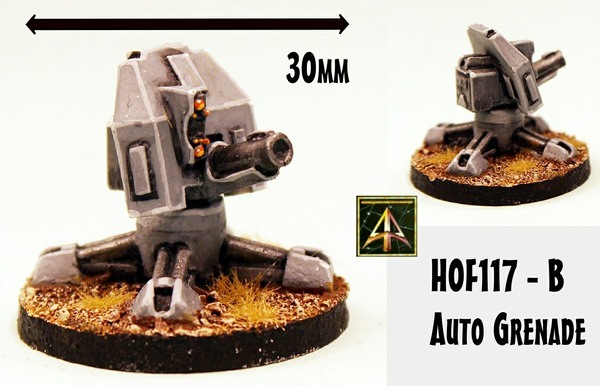 Alternative Armies: HOF117 SFA Support Platform Platoon and singles released! HOF117 SFA Support Platform Platoon and singles released! A new mega pack has been added to the HOF 15mm Science Fiction range in our release for August 2018 in that range. Security Force Alpha (SFA) now has portable weapons with gun crews. 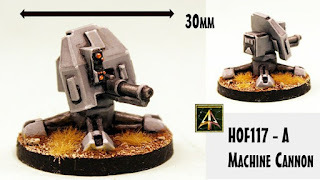 These follow up on the Tracked Bikes from last month and are great for any game system and fitting right in with the rest of the expansive range of poses. Go HERE or read on for more. Alternative Armies is now embarking upon expanding the Security Force Alpha (SFA) array of codes within the HOF 15mm Science Fiction Range in conjunction with prolific wargamer Fred Richards who has a vision of space colony warfare in the near future which we find captivating and wanted to get in on. 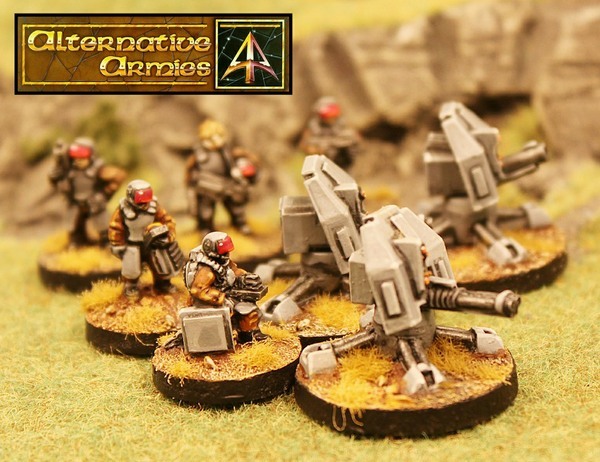 From the mind of Mr Richards and the guys at Alternative Armies comes the second release in this thread the heavy guns for your defence force a mega pack as the second offering of this new sci-fi gaming awesome vision! 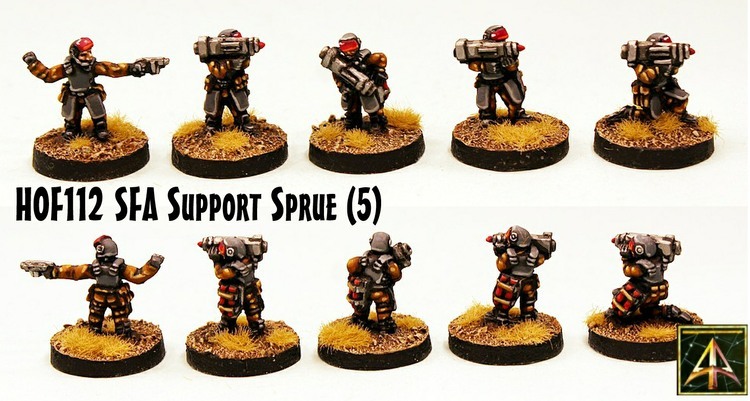 This pack contains 15mm scale miniatures in high quality grey tone resin which are a part of Security Force Alpha (SFA). Three different portable weapon platforms in kit form assembled from three pieces each. A heavy calibre machine gun (0.50 Cal) (1), an automatic grenade launcher (40mm) (2) and an energy beamer (6kw) (3). 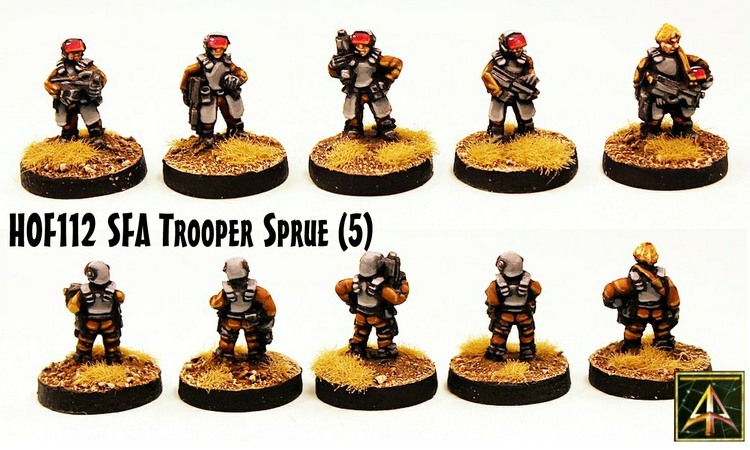 Six Human Gun Crew (4) in equal number of two different poses both fully armoured SFA Troopers one standing and the other kneeling. 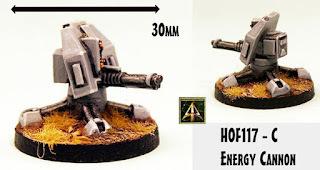 These heavy weapons are great for any setting. 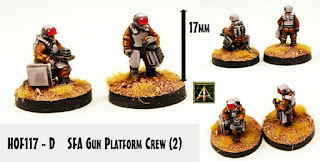 Each platform has a footprint of 30mm across. Supplied unassembled and unpainted and without bases. All parts in this set (three platforms, six crew) are supplied on resin mounting blocks which you should remove with care and once you have the blocks make excellent concrete blocks in 15mm scale! You can choose from the platoon pack or you can select one of the platforms only or a set of two gun crew only. Select on the website page. Go HERE. The platoon pack is priced at 10.00GBP while single platforms are 2.50GBP and a pair of crew are 1.00GBP. Last month we released two packs into the range in co-ordination with Fred Richards which go with these new platforms very well. 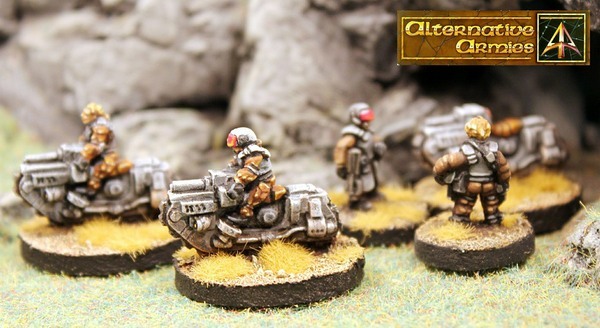 This pack contains two identical resin 15mm scale tracked bikes each with a fully armoured SFA (Security Force Alpha) Trooper in helmet riding it. 5.00GBP per pack. Go HERE. This pack contains two resin 15mm scale tracked bikes. One with a fully armoured SFA (Security Force Alpha) Trooper riding it bare headed. One bike with no rider upon it. The bike is meant for very rough terrain on Earth or any Colonial Planet and is armed with a centre mounted projectile weapon. It is at home in any near future setting. 5.00GBP per pack. Go HERE. 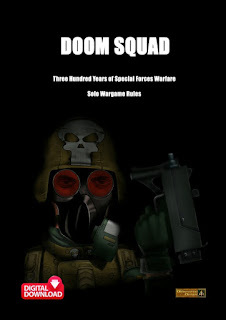 If you are interested in fielding a force of these Human Soldiers then you are in for a treat as there is a very wide array of choice for you. 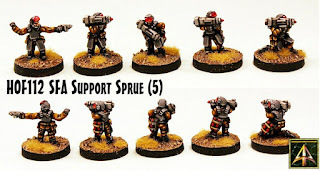 Here is a list of all of the current Security Force Alpha packs. With more than forty poses of white meta infantry and ten resin infantry as well as a half dozen vehicles and a core army box too. See you out there among the Colonies of Mankind!